Waste in health care has been a discussion for many years. With the passing, and now implementation, of the Patient Protection and Affordable Care Act (PPACA), waste in health care is again at the forefront of health care delivery. 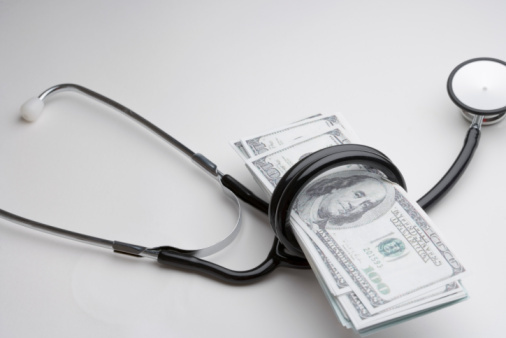 According to reports, it is estimated that one-third of all health care spending in the United States is wasteful. The most prominent issue is how to reduce health care costs without compromising the quality of care received. Included in what most determine to be waste are services that are not evidenced to produce better health outcomes. Additionally, inefficiencies in how health care is provided, and costs for treatments, are included in the cycle of waste in health care. The cost of health care waste in the United States is huge. According to McKinsey Global, the United States spends $650 billion more than other developing countries do on health care (Accounting for the cost of US Health Care – Mcinsey & Company). Generally, it is found that this spending is generated by providers’ capacity for outpatient services, innovations in technology, and demand responding to the increased availability of services. A more current study from 2012 found that up to $750 billion total United States health care spending – including Medicare and Medicaid, state and federal costs – was wasteful spending (The Committee on Energy and Commerce – Memorandum). Wasteful spending included unnecessary services, excessive administrative costs, fraud, and more. The cost of waste is outlined as part of Medicare and Medicaid costs as well as part of the total United States health care spending and at the highest, waste accounts for 37% of total United States health care spending. Working to reduce waste clearly has a compelling argument, at least from a cost savings perspective. Based on the evidence presented and other studies, wastefulness does contribute to excess cost and at least a reduction in quality. Generally, with this comes a desire to engage in quality and performance improvements. In most situations that have waste, people and organizations tend to strive for more efficiency. Reasonably stated, people do not work out ways to add another unnecessary step to process or treatment. Reasonable people work toward more efficiency and effectiveness. Hence, they work to extract waste from the health care system. From a quality improvement perspective, people and organizations will focus on processes that work to bring services to the next level. This likely includes the aim of improving the overall health of the community services. From the performance improvement perspective, people and organizations work to achieve strategic goals through improved effectiveness, empowerment, and leaning out the decision making process. The desire to reduce waste is compelling to engage in these improvement strategies. The Centers for Disease Control and Prevention (CDC) have even dedicated a portion of their website to these topics (CDC – Performance Management and Quality Improvement). Waste in the health care system from failures of care delivery, coordination of care, overtreatment and administrative complexities, pricing issues, fraud, and abuse amounts to billions of dollars annually that could be saved or redirected to better causes. Ultimately, if the United States health care system is to increase performance and quality, then change is needed. What should ALEs do? First, ALEs should refer to the plan documents and summary plan descriptions to determine who is a dependent under the plan. 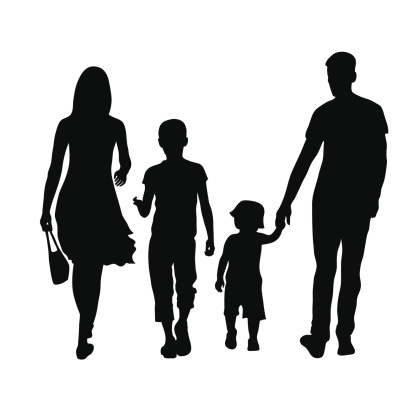 Second, ALEs might consider modifying the plan’s definition of dependent to remove spouses and/or stepchildren and/or foster children, keeping in mind the counter-arguments for expanded dependent coverage — mainly, retention and recruitment. Finally, ALEs trying to avoid the potential penalty should begin taking steps this year and next year to extend coverage to dependents currently not covered. Unless you’ve been living in a cave, you know that social media (e.g., Facebook, Twitter, LinkedIn, Pinterest, etc.) is commonplace in today’s workplace culture. These so-called “wired employees” use cutting-edge technology as tools to help them do more while staying connected to their friends, family, and coworkers. Another delay for non-compliant plans was released recently, to renew the plan into 2017. However, the process to remain on these plans relies on several items. First, the State Insurance Commissioner must allow or approve non-compliant plans to renew. Second, the insurance carrier decides to file the non-compliant plan rates, get approval from the respective State Insurance Commissioner in a timely manner, and send out all the required notices to the affected policyholders. Many in the industry are now calling these ‘grandmothered’ plans. 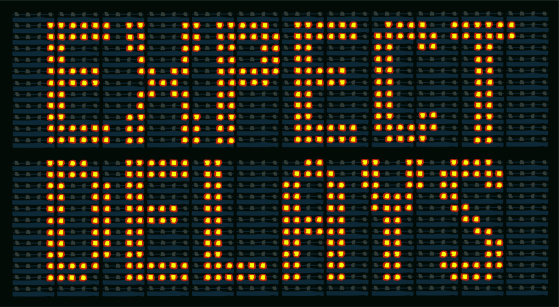 Not every state government allowed the first delay, and is, therefore, very unlikely to allow the second delay. The first delay was granted in November 2013. A list of states that granted the first delay can be found at: http://www.commonwealthfund.org/Blog/2013/Nov/State-Decisions-on-Policy-Cancellations-Fix.aspx. Given the level of confusion, cost of rate filings, and other factors, states allowing the non-compliant plan renewals are likely to shrink. One thing that seems to be escaping the thought process in all of the delay announcements — are the delays really even necessary? In a nutshell, no. The bill passed by Congress and signed into law by the President, on March 23, 2010, merely states that a plan in place as of that date is considered a ‘grandfathered’ plan. The regulatory agencies, in this case the Department of Health & Human Services (HHS), issued regulations that made it extremely difficult to maintain grandfathered status. If a copay was raised by more than $5, if the coinsurance percentage was lowered at all (i.e., from 90% to 80%, even if the out-of-pocket maximum remained the same), if the deductible was raised by more than 15%, or if an employer lowered their contribution percentage by more than 5% — since March 23, 2010 — the plan lost grandfathered status and must move to a compliant plan as of the plan renewal in 2014. Was it necessary for those regulations to be so restrictive? Absolutely not. Grandfathered policies still must comply with several protections enacted by the Patient Protection & Affordable Care Act (PPACA). A few of these items being no lifetime maximum benefit, covering children to age 26, and starting at the plan renewal in 2014 the plans cannot have more than a 90-day waiting period. Very few plans can still claim grandfathered status, with most small groups and individual policy holders having no choice to remain in that status. Could the confusion of some states allowing, while others not allowing, been avoided? Absolutely. Had HHS issued regulations that allowed for changes in the plans according to budgetary needs of individuals and companies, we would not be dealing with the state-by-state basis we are seeing today. Likewise, the individual mandate penalty waivers for the non-compliant plan cancellations would not be needed, as those plans would not have been cancelled in the first place. For more information about compliance with health care reform, download “The Employer’s Guide to ‘Play or Pay'” which covers PPACA penalties, and how to make “Play or Pay” decisions taking into account factors such as location, compensation, subsidies, Medicaid, family size and income. The 2014 UBA Benefit Opinions Survey provides employers who participate with critical data that allow them to compare their attitudes and strategies regarding employer-provided health care with those of their peers and competitors. As the workforce has become more diverse, and many people have differing religions, clothing restrictions, and appearance beliefs, it’s crucial for employers to accommodate these without discrimination.